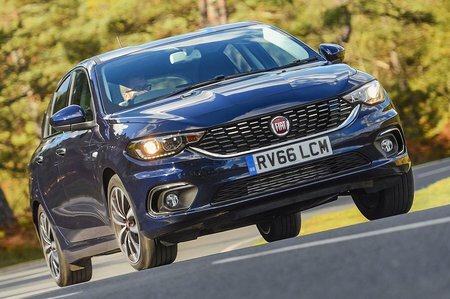 Fiat Tipo 1.4 Easy 5dr 2019 Review | What Car? What Car? will save you at least £2,000, but our approved dealers could save you even more. The entry-level petrol engine offers the cheapest way into Tipo ownership. It is, however, only slightly more fuel efficient than the more powerful turbocharged petrol and, although we've yet to try it, is likely to feel sluggish on the road. We'd recommend paying a bit extra for the 1.4 T-Jet.